There's life in the deepest part of the ocean. And some of that life is microscopic. It's not easy to find the world's tiniest organisms on land and it's even harder when they live in one of the most out of reach places on Earth. Julie Huber, a marine microbiologist at Woods Hole Oceanographic Institution, specializes in finding these itty bitty lifeforms. She talked to us about operating underwater ROVs, doing research off the side of a ship, how understanding the weirdest forms of life on Earth teaches us new lessons about our planet, and what it's like to battle seasickness when your career requires you to spend your life among the waves. The big picture is that I'm an oceanographer and I study microbial life in the deep ocean. When I say deep, I mean really deep. I'm mostly interested in places where no sunlight penetrates. I'm especially interested in life living beneath the seafloor within the rocks and fluids that are moving through the crust. The oceans cover 70% of the planet's surface. Oceanic crust is formed by the process of plate tectonics. We constantly have new crust being generated and recycled. Within oceanic crust, seawater is moving through it. It's like a jar of marbles. It's porous, water moves through it. Because there is space and water, there is life.The estimates are that 2% of the global volume of the ocean is in the crust at any single point in time. The water in the ocean is always moving. New ocean water sinks in the North Atlantic and moves through the conveyor belt, and at some point, it was also move through the crust as it makes its way around the planet's oceans. Plate tectonics make Earth a really unique place. In our solar system other planets don't have plate tectonics. Ever since I started in this field I've been thinking about life beyond our planet. That is something that I didn't appreciate. You have this fundamental process that keeps exposing fresh rock. Water reacts with it and you get this amazing chemistry that allows life to exist. There are certainly not plate tectonics going on on Mars right now. From MIT's Computer Science and Artificial Intelligence Lab: "Researchers at MIT, the University of Sheffield, and the Tokyo Institute of Technology have demonstrated a tiny origami robot that can unfold itself from a swallowed capsule and, steered by external magnetic fields, crawl across the stomach wall to remove a swallowed button battery or patch a wound." Read more about how this robot was designed for the human body here. Our friends at the California Academy of Sciences have launched bioGraphic, a new online magazine celebrating Earth's biodiversity and the extraordinary discoveries of life scientists. Their stories are beautifully told, like this video about the sensory abilities of lobsters (which have up to 12 noses, depending on how you count!) The video was directed by Flora Lichtman, previously of Science Friday. This YouTube channel is an instant subscribe for us! My friend paleontologist Ken Lacovara gave one of the best-written TED talks EVAR when I was there in February. Enjoy. Video of a robot developed by The BioRobotics Institute in Italy, which explores high-dexterity soft-bodied robots that mimic the movements of an Octopus. It's not just the form of the robot that takes inspiration from Octopuses, but also the way its limbs are controlled. From IEEE Spectrum: "Rather than relying on top-down instructions from the central nervous system, many of an octopus’s movements happen almost spontaneously–the result of the physical interplay between the animal’s body and its surrounding environment." Read more about this robot and its biomimicry lessons here. This clip from BBC's upcoming series Life in the Air shows in ultra high-framerate video how cats (even big ones) always manage to twist their body in mid-air to land on their feet. Biology processor Duncan Irschick of UMass Amherst introduces the Beastcam, a four-camera rig that can rapidly take photos of live animals for generating 3D photogrammetry models. The rig, which was conceived of when Irschick found it challenging to 3D model a live shark, can shoot 60 photos in about 15 seconds. The photos are sent through software like Autodesk's 123D Catch and used to study body form in animals and complex movements. Irschick hopes to take it back to Florida to test it on a shark! The technology imagined by science fiction has driven lots of innovation and interesting research. The Tricorder XPRIZE is a competition to create a device that replicates the functionality of Star Trek's medical Tricorder--one piece of hardware that can diagnose and monitor health conditions. We meet Pleurobot, a Salamander-like robot that can both walk on land and swim in the water (with a wetsuit!) Kishore, our new science correspondent, chats with professor Auke Ijspeert of the EPFL about how Pluerobot's movements were programmed and how biorobotics engineers studied the physiology of salamanders in making this robot. Much of my past two weeks was spent in Calgary, Alberta where some of you suggested a visit to the Royal Tyrrell Museum in nearby Drumheller. I'm so glad I made that trek--it ended up being one of the highlights of my trip. 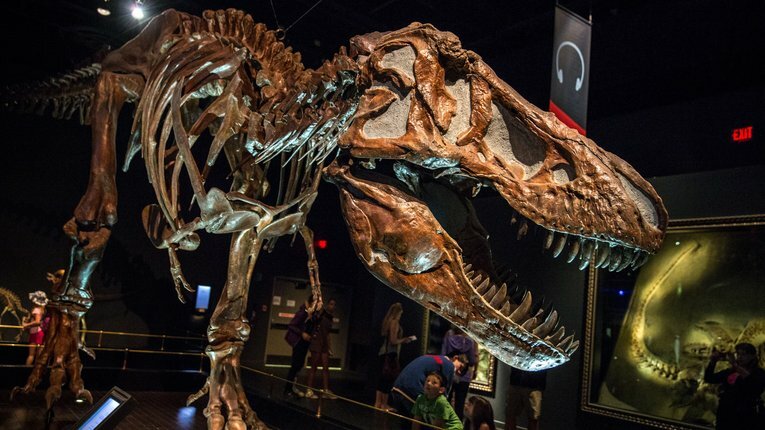 The paleontology museum is filled with incredible displays of dinosaur fossils and skeletons, including quite a few T-Rex's. The exhibits are beautifully arranged and lit, making them really fun to photograph as well. Here are a few of my favorites from the visit. Speaking of conceptual transhuman experiences, here's video of an "aging suit" that simulates the experience of being 75 years old. The Atlantic's James Hamblin tests this exoskeleton, which limits movement, impairs hearing, and blurs vision (to approximate cataracts). It's the latest invention of technologist (and ex-Imagineer) Bran Ferren's Applied Minds, and is intended to get people talking about issues around aging and long-term care. Our buddy and former writer Matt Braga reports on an experiment by English speculative designer Thomas Thwaites, who recently investigated what life would be like living as goat. As in, Thwaites donned custom limb prosthetics and lived among goats for a few days in the Swiss Alps. The bizarre experiment is more performance art project than scientific endeavor, but totally worth it for the surreal photographs. "Life will find a way." That mantra isn't just true in Jurassic Park; nature's resilience is particularly noticeable in some of Earth's most extreme environments. From super-high flyers to super-deep swimmers, there's no shortage of strange evolutions on our planet that allow animals to perform some truly bizarre and nearly impossible feats in order to survive. A new exhibit at New York City's American Museum of Natural History rounds up some of the world's most extreme adaptations. Here's a look at just a few examples of the bizarre behaviors of Life At The Limits. Frilly Leech — Even though it's own habitat almost never freezes, the frilly leech can survive 24 hours submerged in liquid nitrogen (-320f) in the lab. They can be stored up to 9 months at -130F and one was once revived after 2.5 years in the deep cold. 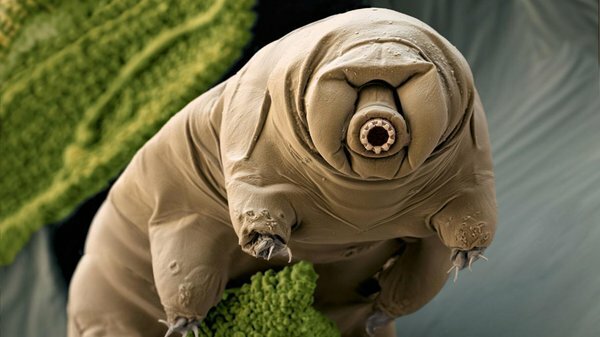 Tardigrades — These tiny organisms, also known as water bears, can survive being completely dehydrated. They make proteins that revive their cells when water is introduced, coming back to life in as little as 4 minutes. They also can survive temperatures down to near-absolute-zero (-458F) and more than 302F. Ice Worm — Just like it's name says, this worm lives its entire lifecycle inside the glaciers of Alaska. If they get too close to the air and they feel sunlight warming the surface they burrow down deep to get away from the heat. When someone is murdered, the medical examiner isn't always able to discover the cause of death. 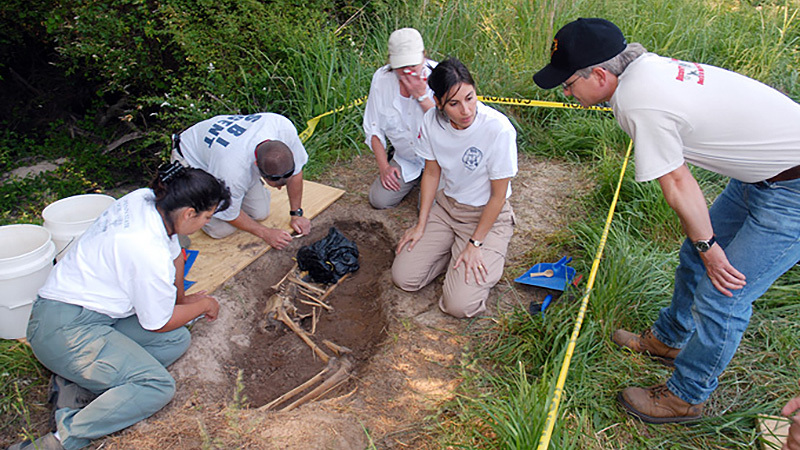 Sometimes, especially in cases where a body has been buried for a long time, they have to call in a scientist that specializes in understanding how bones work. Ann Ross is a forensic anthropologist and the co-director of the Forensic Sciences Institute at North Carolina State University. It's her job to help authorities find buried bodies and inspect their bones to help puzzle out what brought about their demise. Ross chatted with us about what it's like to adapt tricks of the archaeological trade to find success in her unconventional field work. That's a good question because I always ask people what they think it is and I get so many different answers! It's the applied discipline of biological anthropology or skeletal biology. We are experts on bones. A lot of skeletal biologists are dealing with prehistoric or past populations but we apply that to contemporary issues or issues of the law. What kind of law? Is it crimes that have happened recently? Not necessarily recent. A lot of time we're experts in the tools that make some kind of pattern on the bone or a trauma. The medical legal community, the medical examiner, or law enforcement need our help in identifying the class of weapon that make the wound. Or was the fracture made at around the time of death or post mortem. The skeleton can tell us so much. We can tell everything that you do in life--it's almost mapped on your bones. Where is your lab? Do you work out of police offices? Most of us work in the university context. Quite a few of us work in medical examiner offices. There are other government agencies that contract forensics or have one on staff. I work at North Carolina State and when there's a case I get a phone call or an email. It can be from a medical examiner's office or the sheriff's department or the SBI. Generally it's remains that I need to see. I either go pick them up or bring them to the laboratory. A lot of times we reexamine cold cases. So it can be as old as the 70s or as recent as a year ago. Back in March, Stanford researchers announced that they had found an explanation for an interesting phenomena: droplets of food coloring on glass spontaneously move and interact with each other. From the Stanford Report: "A puzzling observation, pursued through hundreds of experiments, has led Stanford researchers to a simple yet profound discovery: Under certain circumstances, droplets of fluid will move like performers in a dance choreographed by molecular physics." 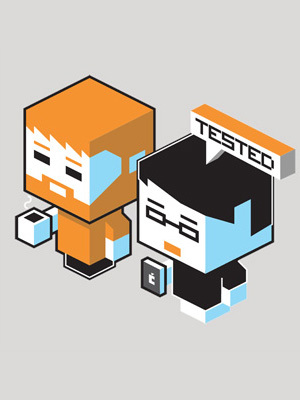 Super cool, thoughtfully explained, and the video (below) is beautiful.